Each of our 23 rooms are equipped with a private bathroom, balcony, TV, free WiFi and a safe. Our nice breakfast buffet, with big parts homemade and local favorites, is included in the price. The traditional double rooms are cozy and spacious double rooms with balcony, which can be offered on request for three persons. Our cozy Family Loft is located on the top floor. Here the children has got their own loft! Perfect for the small family with 1-2 children. Our Family Suite has two rooms and one bathroom. 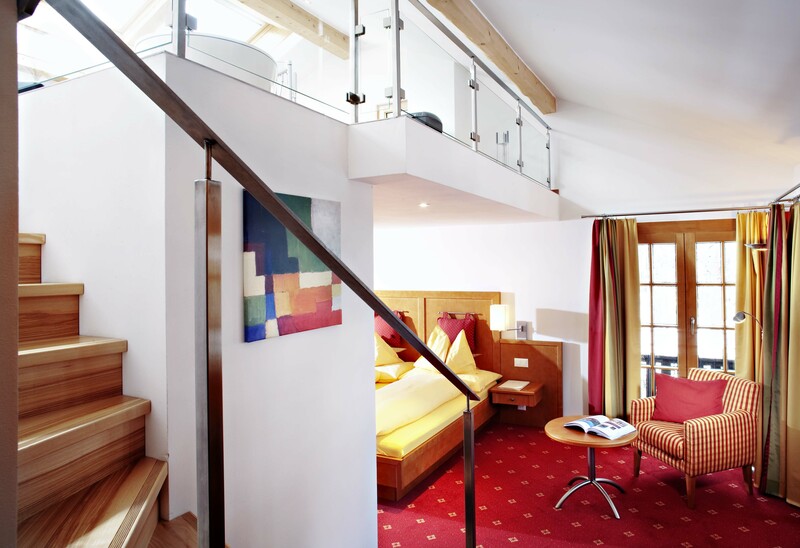 From the suite you have a spacious balcony with a nice view over the Bahnhofstrasse. Enjoy a romantic holiday in our Romantic Sky Suite. The suite has windows facing three different directions and a balcony with Matterhorn view. The free-standing bathtub on the upper floor offers a view of the starry sky. 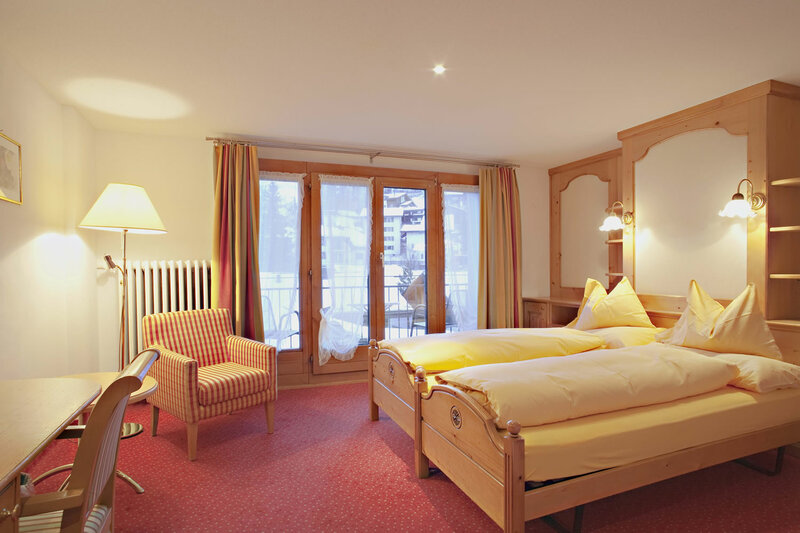 For an unforgettable holiday in the middle of Zermatt, the Village Suite is perfect. It has three connected rooms with a balcony to the center. For four to six people.